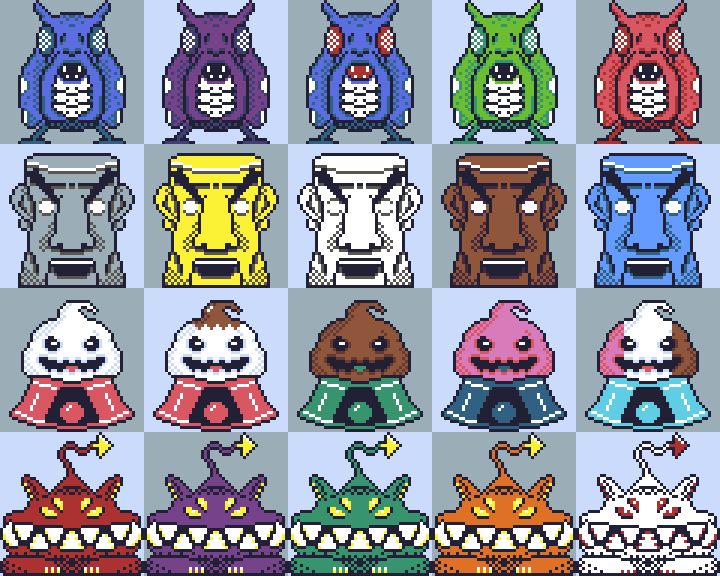 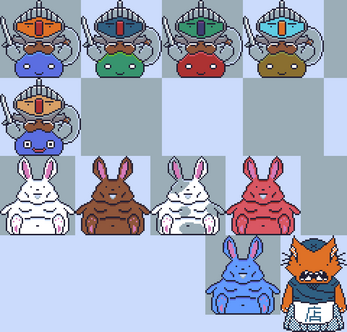 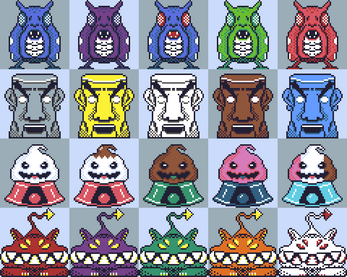 March Monsters 2018 Pack is an Asset Collection of Semi-Cohesive Fantasy JRPG Enemy Sprites. 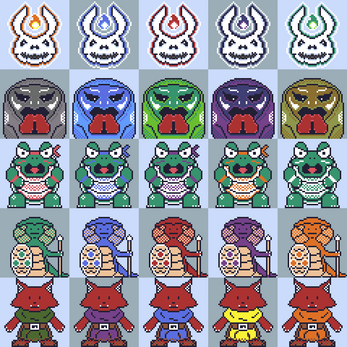 All assets are done as pixel art using the Dawnbringer 32 palette, mostly within a 48x48 pixel size. 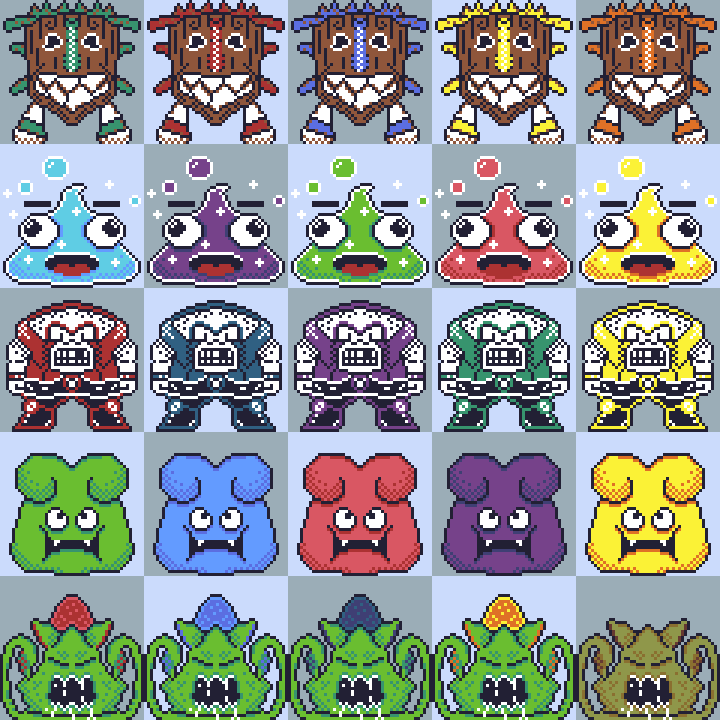 Great for any project! 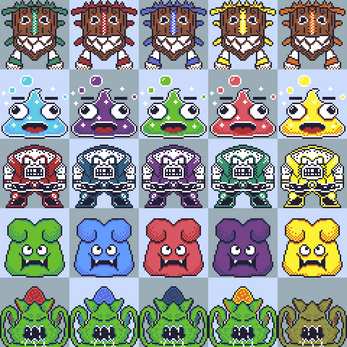 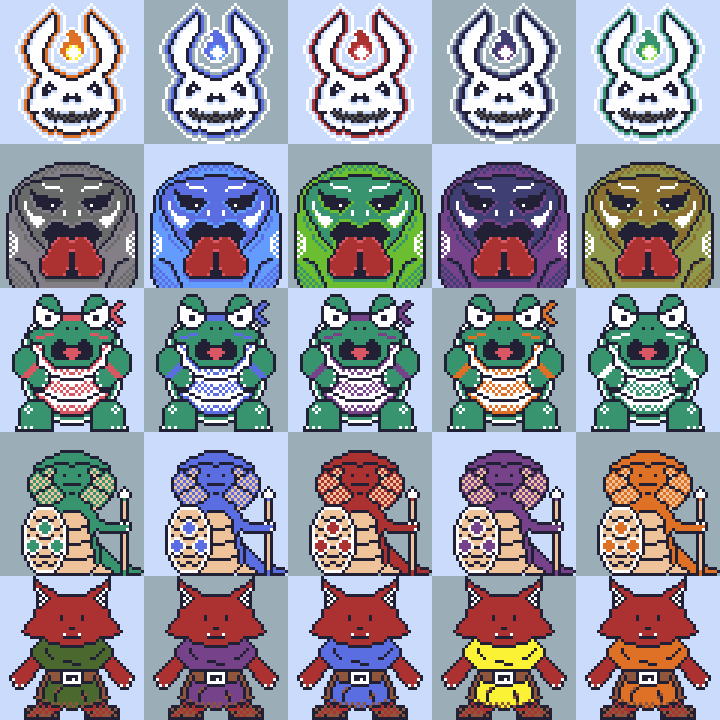 The 31 base monsters were done as part of a month long project on Twitter, the additional recolors & variants were added after the project was complete bringing the pack to a grand total of 150ish monsters. This asset pack is distributed under the CC BY-SA 4.0 License. This means you are free to share & redistribute this work as long as it is under the same license, and to give credit to me, Michael "sprngr" Springer, as the original author. 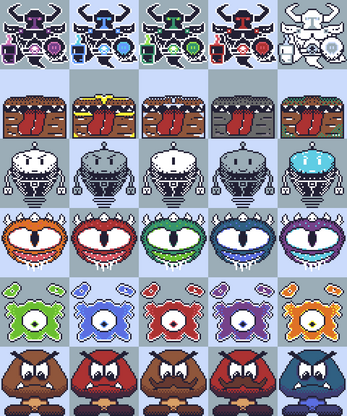 Specifically if you use monster #23, Dodocan, I ask that you give credit to RustyMonky (Twitter). 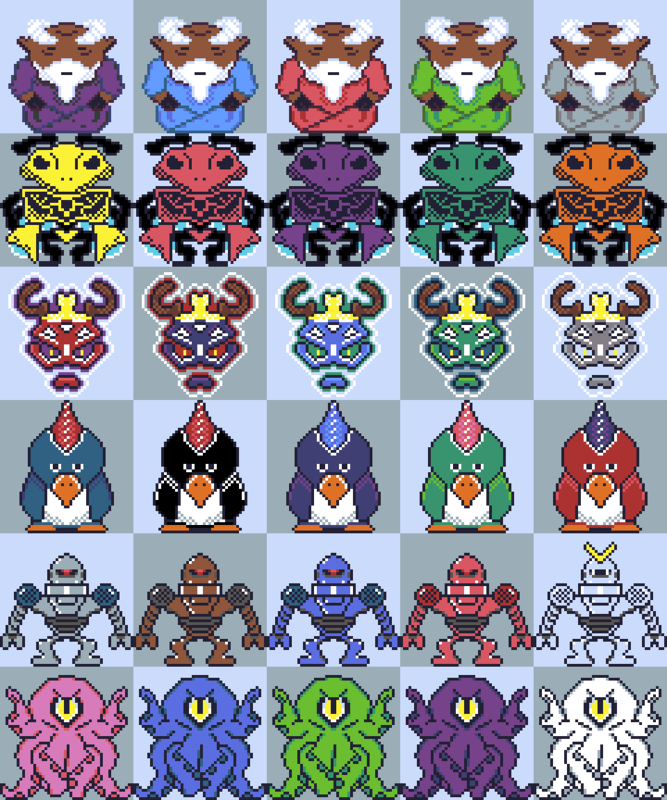 I asked for permission to include my iteration of his character in my pack, so give credit to him instead for this wonderful bird-thing. 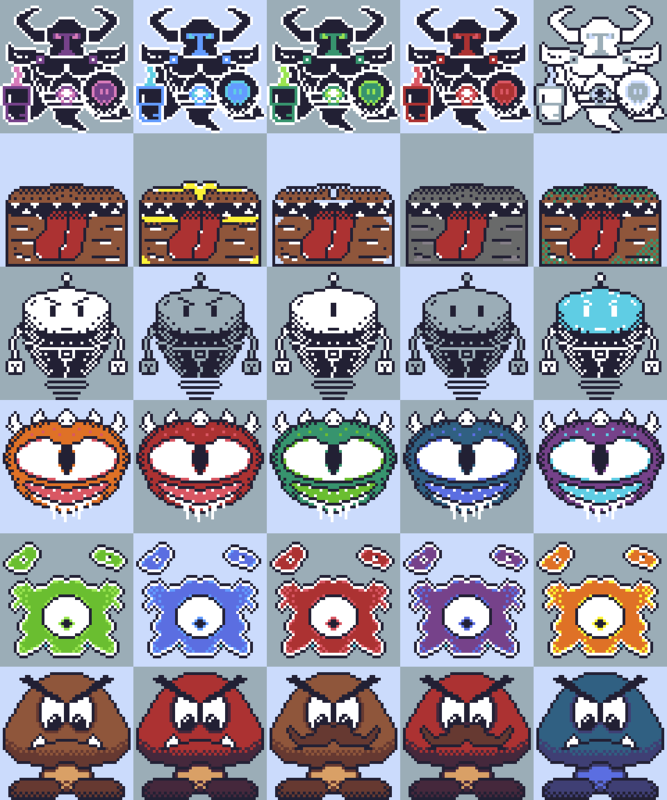 If you do use my assets, let me know and I'll gladly list it here!